Darryl Jones retired from Victoria Police after almost 33 years of service. 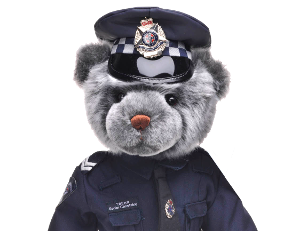 He is a highly decorated police officer receiving the Victoria Police Valour Award, the Australian Federal Group Citation for Bravery, the American Captain Kossler Award for Bravery, the Royal Life Saving Society Bravery Cross and a commendation for Brave Conduct. During his career with Victoria Police he has served in the Traffic Operations Group before transferring to the Air Wing, firstly as a crewman/ winch operator, then observer and ultimately, pilot. During his service in the Airwing, Darryl played significant roles in rescuing more than 300 people. He and his crew risked their lives to rescue five sailors from Bass Straight during the ill-fated Sydney to Hobart Yacht Race and was also working on the police helicopter that was shot and struck by Julian Knight during the Hoddle Street massacre. During the last ten years of his police career Darryl served in the State Highway Patrol. 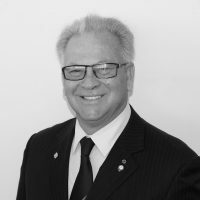 As a keen supporter, member and contributor to the Victoria Police Blue Ribbon Foundation over many years, Darryl is looking forward to continuing his service to the people of Victoria in retirement through the foundation. Darryl is also an Australia Day Ambassador.